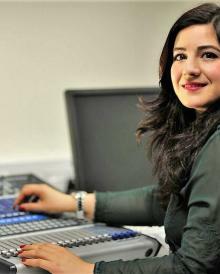 Fardous Bahbouh is a female Arabic voice over artist based in London. She has a vibrant and exciting tone to her voice. Her voice is warm, conversational and authoritative. Fardous has extensive experience recording in both Arabic and English. She has worked on recording educational and training materials, exams, documentaries, adverts, and a medical phone application. In addition to Voice over, Fardous is a translator, journalist and teacher. Fardous is a member of the Voice Over Network, the National Union of Journalists and the Chartered Institute of linguists"